In case anyone was wondering – that’s what it looks and sounds like when 7000plus happy fans fill the air space over Bangor, Maine singing every single word to Journey’s irrepressible favorite, “Don’t Stop Believin’.” I think this may be a Guinness World Record idea, but I’ll leave that up to the folks at Waterfront Concerts and Darling’s Waterfront Pavilion to sort it out next time Journey comes to town. 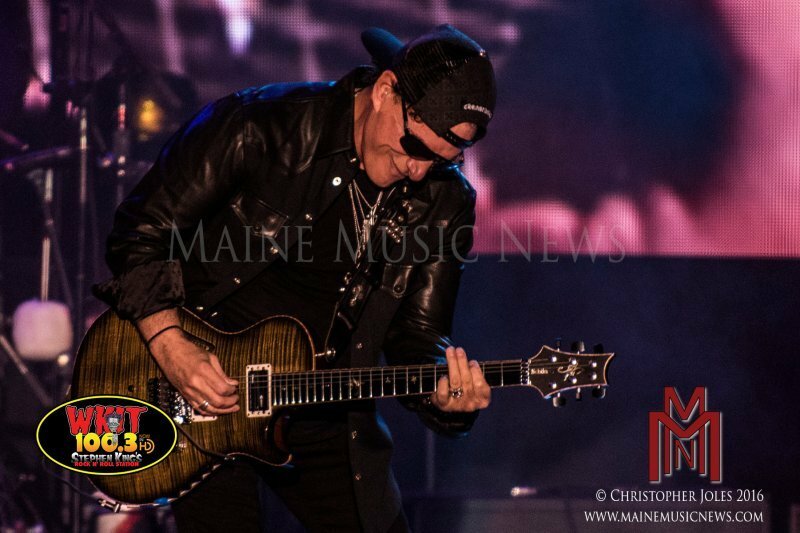 Speaking of which, Wednesday’s performance was Journey’s second time gracing the stage along the Penobscot River. The first show was in September of 2012, a rainy and raw event that thrilled fans so much that they are still talking about it. 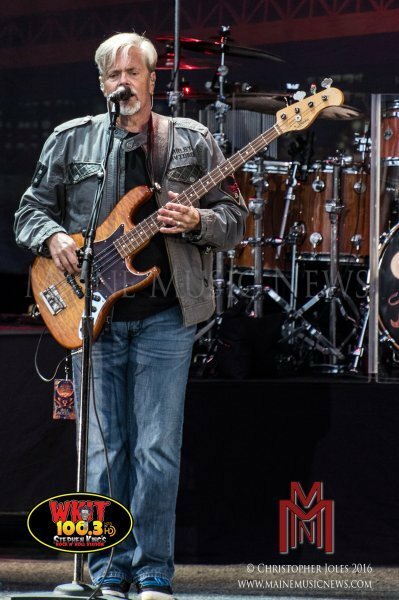 Luckily, fans attending the 2016 show, part of the San Francisco Fest tour, enjoyed a clear sky, a full moon, and another stellar performance. A special thanks and shout out to Elena Johnson of WKIT – 100.3 FM, Stephen King’s Rock Station for her help in reviewing this show. Her wealth of rock and roll knowledge is always appreciated. 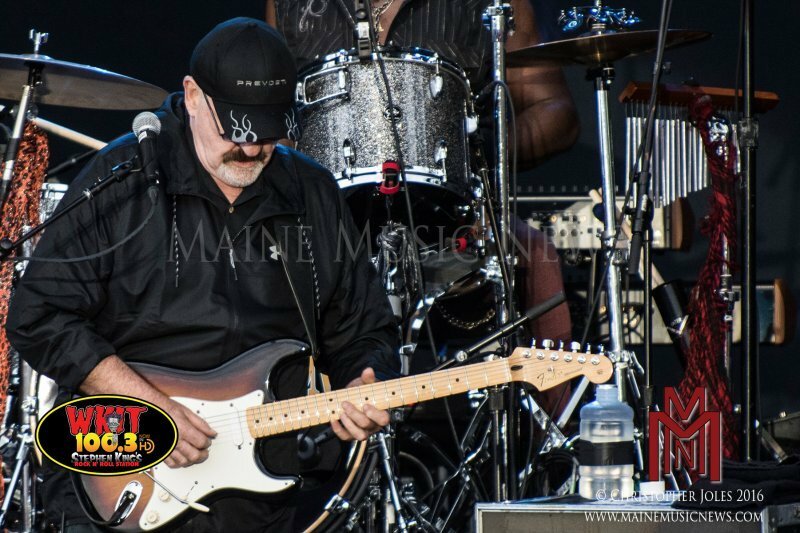 Starting off the night was Dave Mason, formerly of Traffic and best known for his songs “We Just Disagree” and “Feelin’ Alright.” Mason received a big welcome from the crowd and gave a seven song set. The band was tight, and Mason’s guitar work and vocals were spot on. 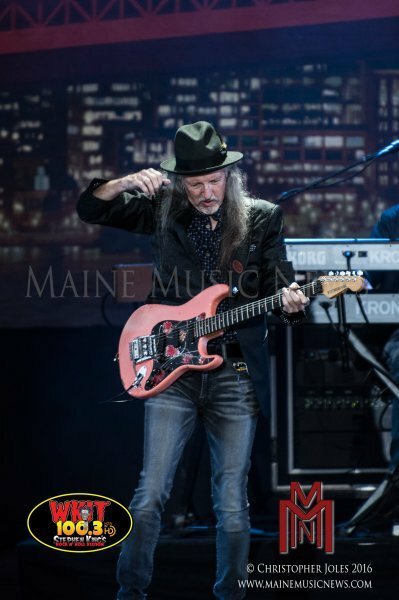 Along with the above mentioned tunes, he performed “Medicated Goo,” “Look at You Look at Me,” and a fresh, grooving rendition of “All Along the Watchtower” that fell somewhere between Hendrix and Dylan and really hit the spot. 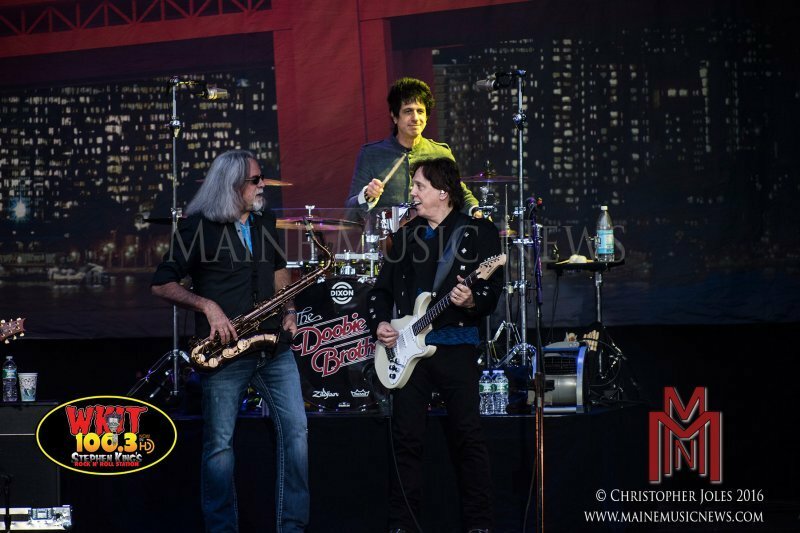 Mason was joined on stage by John McFee of The Doobie Brothers for the final three songs of his set. 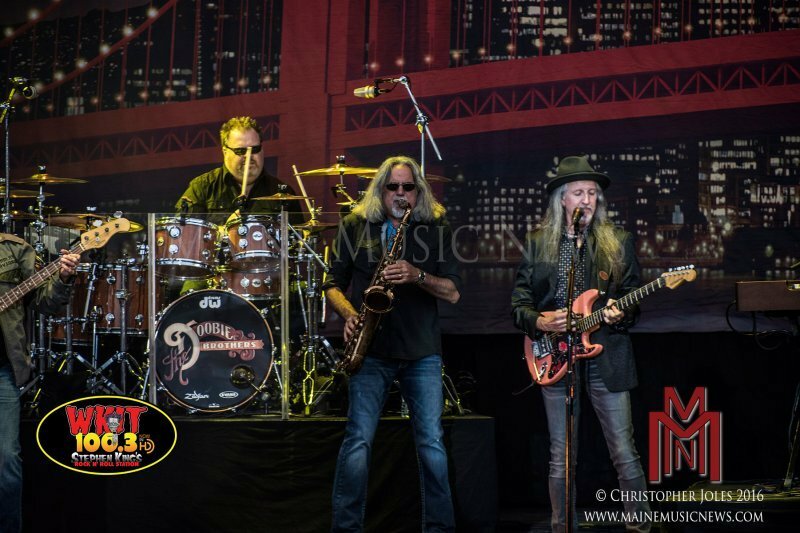 The Doobie Brothers were next. Aside from some sound issues for this band, the mix left the music a bit muffled and muddy, the set was great and the fans were happy. 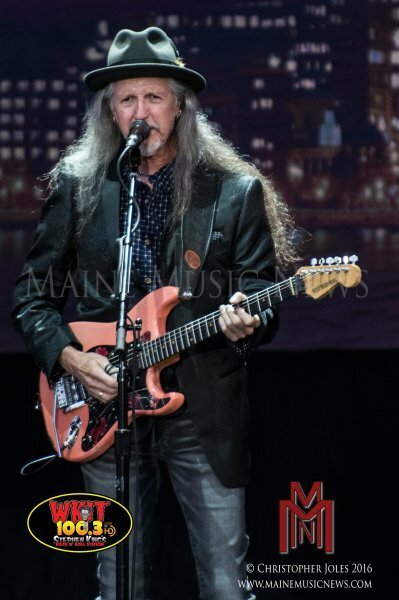 Starting with “Jesus is Just Alright” and “Rockin’ Down the Highway,” the band led the crowd through a nice set of favorites, iconic American rock and roll anthems to be exact, including “Black Water” and “China Grove,” before wrapping up with “Listen to the Music.” Vocals were strong, as expected. 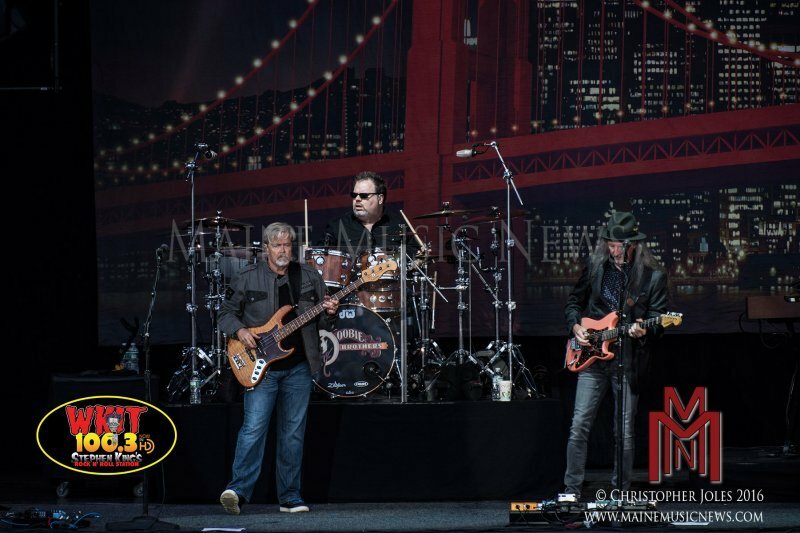 While not big talkers during their performance, The Doobie Brothers make it a point to engage the crowd and connect everyone to the songs, songs we all know and love. This was a treat. 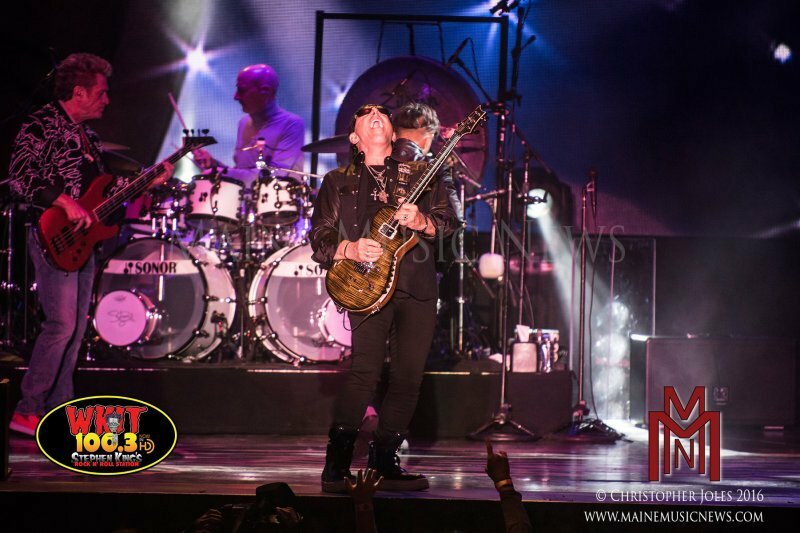 Journey took the stage by storm and kept the energy high for the duration of their show. 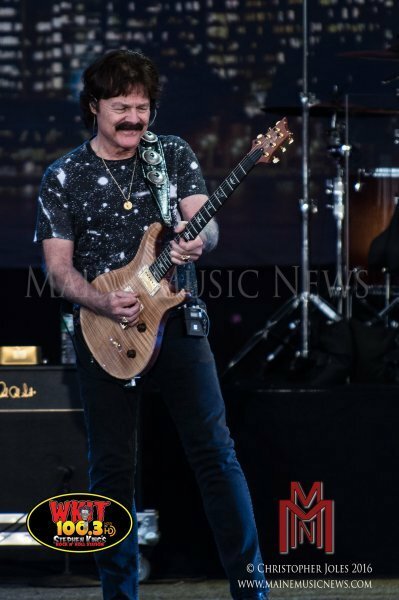 Four of the original and/or early members of Journey were all together again: Neal Schon on guitar, Jonathan Cain on keyboards and guitar, Ross Valory on bass, and Steve Smith on drums. Arnel Pineda, on lead vocals and with the band since 2007, may not be original but he is amazing, winning over fans with his willingness to give the performance everything he has – and he has A Lot. 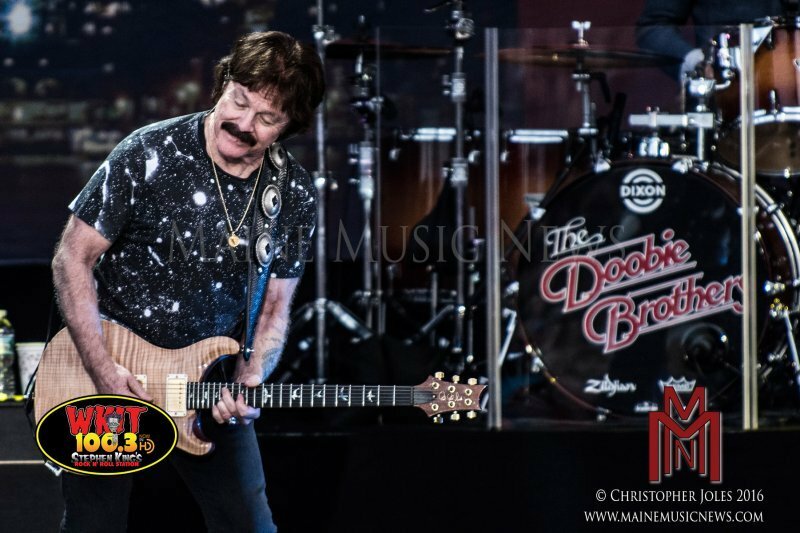 Heavy on their early work and fan favorites, such as “Stone in Love,” “Lights,” and “Wheel in the Sky,” the band didn’t waste much time chatting, they just kept firing out the music and engaging the audience. 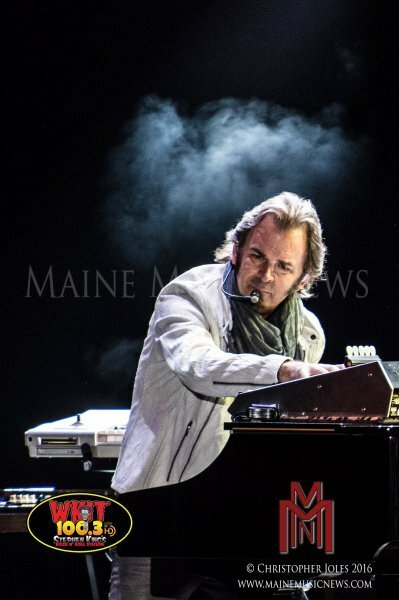 Every few songs or so, band members gave a solo: Cain on piano featured a bit of “Send Her My Love,” Smith on drums was fantastic, and of course, Schon laid out his brand of guitar riff that made Journey what it is. These solos were well-designed, striking, and just the right length. Notable as well was the simple stage set up featuring a massive, crisp, and clear video screen that gave fans all the way to the lawn area of the venue an up close view of the action. The performers, the music, the video work – everything came together flawlessly, including the fans remembering every beat, every word, and every memory attached to the songs. Marvelous! 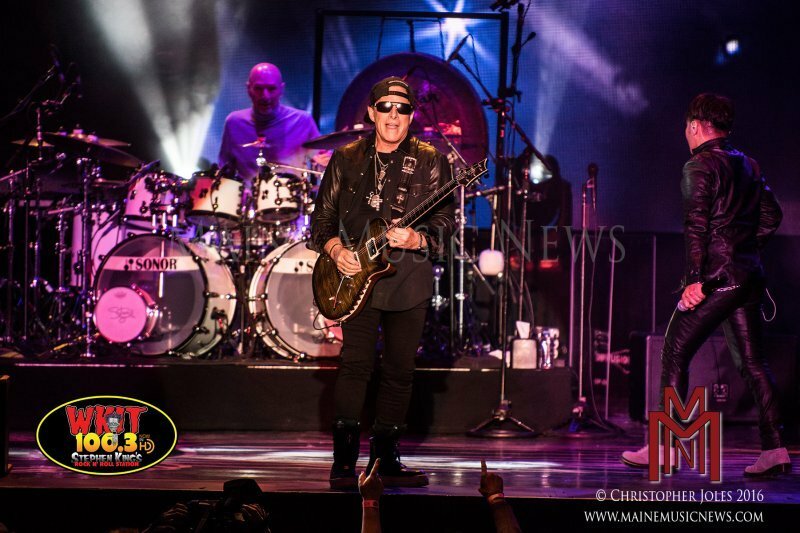 Journey may have topped their 2012 performance with this show. We’ll need to have them back in a few years to see if they can top 2016. 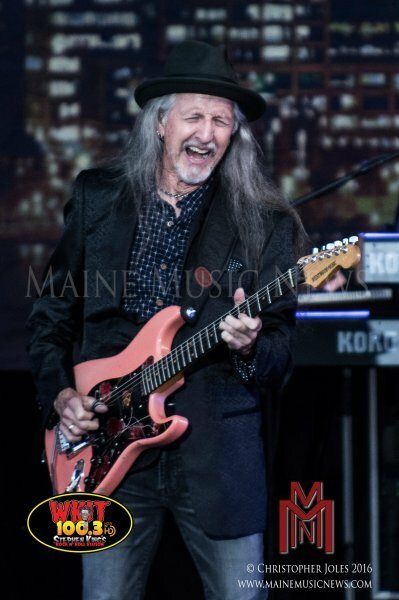 There it is, music lovers – Bangor fans proved once again that they will show up by the thousands to hear classic rock and roll pound out of the speakers on The Waterfront. It’s all about the rock and roll. Talent, favorite cuts, iconic riffs and choruses, and energy galore keep the seats full and the noise complaints steady. That’s right – always remember that if it’s too loud, you’re too old.